The leaves gently and delicately fall to the ground. They fall to the symphony of silence; there isn’t any sound. They form a magic circle and align with each other. The trees spiralling branches form the perfect cover. The gentle breeze is the catalyst and unseen guest. The sparrows and other birds look down from their lofty nest. 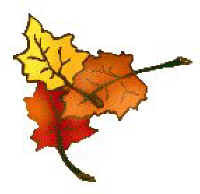 The leaves hold hands and start in circular motion. They are intoxicated by an astrological; mystical love potion. They dance all day for all the passers by. Their rhythmic and choreographed beauty will fade, but never die. The orchestra of the wind accompanies these exotic dancers in flight. The phases of the sun provide a spectacular show of colour and light. At dusk the light show is over, the curtains begin to fall. The strange birds of the night begin their melancholic call. The show will begin again tomorrow. In this frozen aspect of time, there isn’t any sorrow. Watch out for the dance of the autumn leaves. They glide from the trees with such gentle ease. On the ground they aim to please.